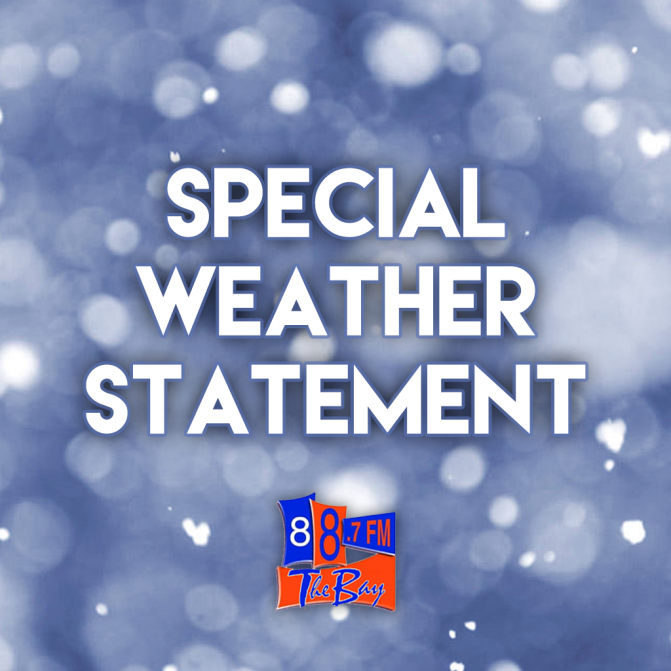 A special weather statement in effect for Huntsville – Baysville and the Town of Parry Sound. Environment Canada is calling for snow tonight and Wednesday with freezing rain possible Wednesday. In Bracebridge & Gravenhurst expect snow tonight followed by freezing rain Wednesday then a brief thaw with strong winds and rain. In South River and Burk's Falls areas the weatherman is calling for significant snowfall tonight and Wednesday. All this as a Colorado low tracks northeast across Lake Huron and Georgian Bay Wednesday, with snow likely followed by freezing rain later Wednesday. Snowfall amounts will range from 5 to 10 cm over the Ottawa and St. Lawrence Valley areas, with 10 to 15 cm expected further west towards Georgian Bay.